SARASOTA, FLORIDA, January 18, 2018 – Lakewood Ranch (LWR) notched record home sales in 2017, and there’s reason to believe that it is headed for another banner year in 2018. Ranked as the country’s third best-selling master-planned development last year, LWR’s sales of new homes soared by 56 percent in 2017 to 1,206 units from the 775 new Lakewood Ranch builds sold in 2016. A slew of new residential choices could be expected to help bring further impetus on Lakewood Ranch homes for sale moving forward in 2018. The deep housing stock in the LWR communities overall has been clearly manifested in the Lakewood Ranch annual home tour held last fall which showcased 70 models, nearly double those shown in 2016. A good omen for future sales, onsite traffic during the month-long showcase last year also hit a record of nearly 3,000 visitors, an 18 percent spike over the 2016 event. What’s even more encouraging, the 2017 LWR Home Tour’s new traffic saw a 32% increase from the prior year. Much of the excitement on Lakewood Ranch homes for sale is being generated by the new communities launched recently in the master development. Polo Run, one of these new additions and LWR’s first “solar community,” just this January listed a recently completed four-bedroom, single family home priced in the $500s with a floor area of 2,553 square feet. Waterfront at Main Street, a new condominium complex right at LWR’s town center, is likewise into the fray. This month, a three-bedroom penthouse in this gated community of builder Homes by Towne was sales-listed with a price quote in the $800s for its living area measuring 2.300 square feet. 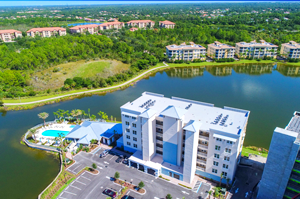 At Waterside, townhouses will soon be launched in the market, thereby further enriching the home choices in this first LWR development in Sarasota. Two communities—Lakehouse Cove by Homes by Towne and Shoreview by the Pulte Group—are now actively selling single family homes in Waterside. Two other prestigious builders—Lee Wetherington Homes and Arthur Rutenberg Homes-Nelson—have also set up stakes in this community. As of last count, Lakewood Ranch has 19 communities with a wide variety of residential types at price points ranging from the high $100s to over $1 million. Two more are in the pipeline with land deals sealed in December: a $12.54 million, 334-acre purchase of Toll Brothers, and a $5.19 million, 95-acre buy of LWR mainstay Homes by Towne. 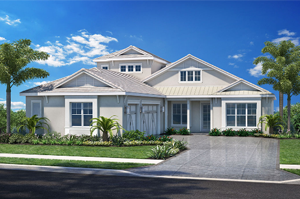 The Horsham, Pennsylvania-based Toll Brothers is eying construction of up to 450 single family homes as its first venture at Lakewood Ranch. The property it acquired is flanked by The Concession and The Lake Club and is being planned as The Isles at Lakewood Ranch. It is envisioned as an upscale community with West Indies-inspired home style and resort-type facilities. Homes by Towne, on the other hand, plans for its new acquisition a community called Woodleaf Hammock good for a maximum of 162 townhomes and 91 single family homes. 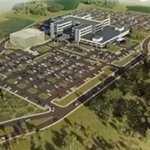 Their LWR site is located south of State Road 64 East between White Eagle and Lakewood Ranch boulevards. Aside from the condominium Waterfront at Main Street, the Milwaukee-based Homes by Towne is set to build 391 homes at the Lakehouse Cove. This community is so far the second in LWR’s Waterside development which should definitely be a weighty factor in Lakewood Ranch sustaining its banner sales performance.